A Christmas bauble slowly rotates to reveal your text written on the bauble in glitter against a sparkling soft-focus backdrop of baubles and lights. 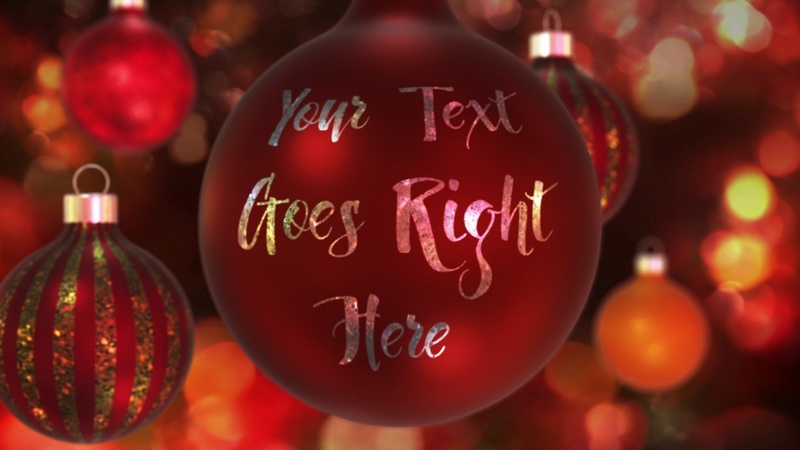 NOTE: In the preview, your text may overlap the edges of the bauble - please be assured that in the finished video your text will be wrapped around the bauble properly. The font used in this design is Dragonflight. If you would like to use this in your own designs, it is available here.